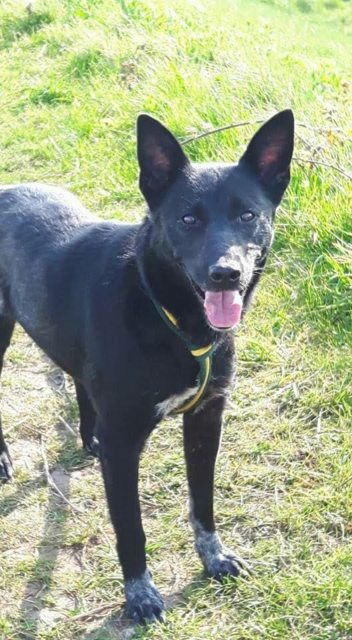 Sasha is a 7 year old female Belgian Shepherd cross Collie. 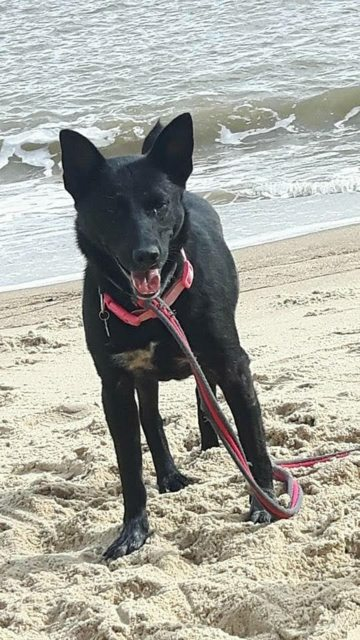 At a guess I would say she has some Belgian shepherd and Collie in her. 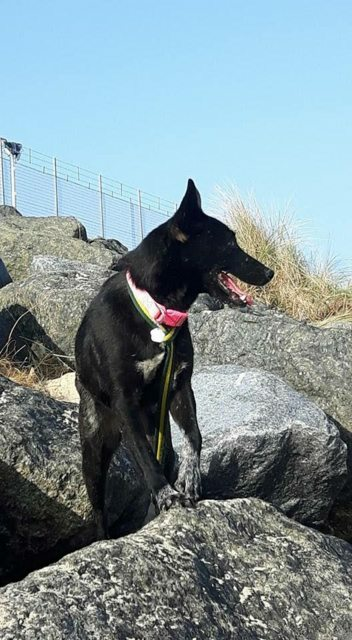 Sasha is fostered in Gt Yarmouth (FR001). Sasha’s road to rehabilitation has been along one. She had been in the Radauti shelter in Romania for a long time prior to coming to us. On arrival she was a real wild child and for months rebelled against anything I tried to teach her that humans could be kind. In all honesty I don’t know what it was that changed her attitude towards me. I went out for a walk one day without her and she cried at the gate to get to me, this was the day she just decided she liked me. She has gone from strength to strength since that very precise moment. She asks to come for walks, she lets me put a lead on with no difficulties, she lets me groom her, she takes treats from absolute strangers. She is great on lead and would literally follow me anywhere off lead. Sasha still needs a very special home. She sits in the same room as me in the evenings but doesn’t approach me for a fuss or sit with me. I think in a home with less dogs she will do but here it is the stronger characters that get the sofa space and the shyer dogs don’t bother to try. Sasha loves other dogs, she will play for hours with the others and is always the first to get new foster dogs to play. I would not trust her with cats or birds after she swam behind a duck on the river for over twenty minutes one day (I swear the duck was laughing at her but she did not give up and get out of that river til she could literally swim no more!). She would need to be in a home with no very young children but dog savvy older children would be fine. She is very food orientated so her trust would be easily gained in a new home but initially I think she will be a little shy. Sasha now has a wonderful character, she is cheeky and fun. I don’t know if she will ever be the most affectionate dog in the world but she is certainly making great efforts to become a good pet.